Norfolk Heritage Steam Railway Ltd. is a company limited by guarantee registered in England and a registered charity. Company number: 6788497. Charity number: 1129572. Registered office: 21a Gawdy Close, Harleston, Norfolk IP20 9ET. We have chosen an 0-6-0 saddle tank engine designed by R.A.Riddles and built by various manufacturers in the 1940s and 1950s. In its industrial guise it was known as the "WD Austerity", while those that saw service with the LNER and British Railways were designated Class J94. For our particular purposes the Austerity is ideal - powerful, robust, easy to maintain and common enough that quite a few still survive. The Austerity was not a typically Norfolk locomotive. 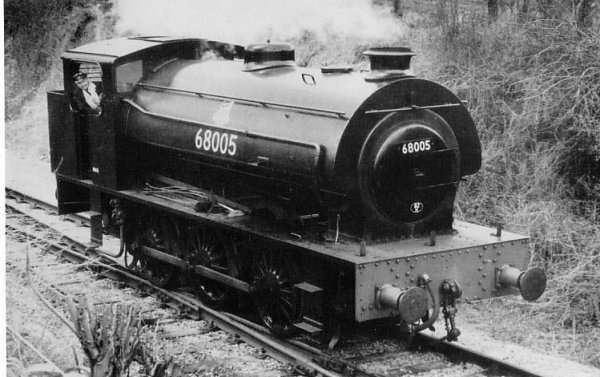 The last-numbered LNER engine, 68080, may have been based at King's Lynn in 1952 but there is some doubt about this. 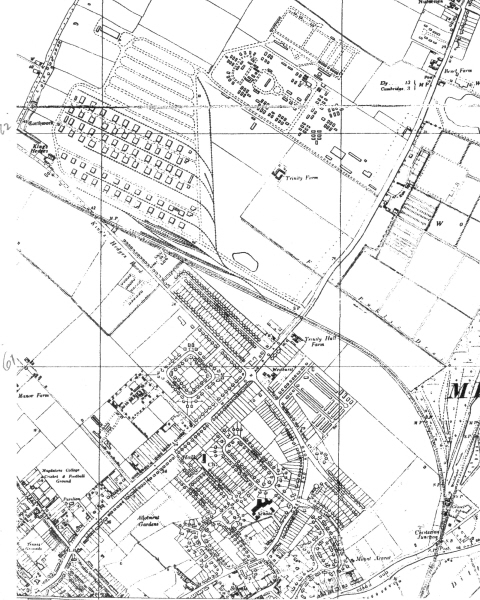 Three of the War Department engines worked at Histon Depot near Cambridge; from 1943 until 1945 this was an American depot, and then was operated by the MoD until the late 1950s. Another East Anglian sighting was of Bagnall-built loco 2753 of 1946 (WD146), which was en route from WD Shoeburyness, via Hunslets to NCB Darton Colliery sidings in Yorkshire. 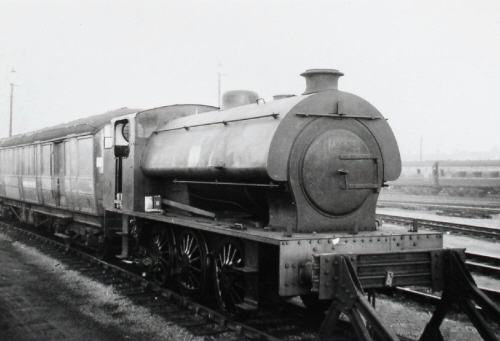 It was side-lined at Cambridge with a hot-box in November 1965. It was at some stage parked temporarily in Richard Duce's scrapyard siding and presumably repaired at Cambridge shed. It evidently completed its journey to Yorkshire in the end, as it was not scrapped until 1973 (our thanks to Chris Fisher for this information). In 1942 during the early planning stages for the invasion of Europe, it was realised that large numbers of main line and shunting locomotives would have to be built and used on both British and European lines. 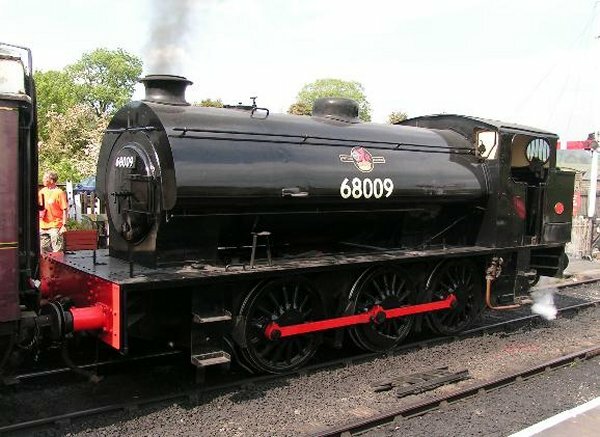 Riddles was put in charge of the design work, and produced this 'WD Austerity 0-6-0ST' design to meet the projected shunting needs. The first locomotive was steamed in January 1943, and a total of 377 were built for the War Department over the next four years. In 1944, a number were loaned to the Ministry of Fuel and Power for working various open cast coal sites. The railway companies were given the responsibility of maintaining these locomotives, and the LNER became responsible for twenty-five of these engines in January 1945. The design proved to be rugged and simple, and the LNER purchased 75 more locomotives and gave them the classification of J94. The order was placed in May 1946 and most were delivered within three months, an astonishing feat. With the shortage of materials in post-War Britain, the purchase of the J94s was clearly preferable to building new J50s for the LNER's heavy shunting requirements. Withdrawals on BR started in 1960. Six were sold to the coal industry, and the last J94s were withdrawn in 1967 after the last section of the Cromford and High Peak line was closed, but many of the industrial "Austerity" versions continued to work into the 1970s and 1980s. During the 1960s some of the industrial locos (including ours) were modified by Hunslet according to the ideas of L.D.Porta, an Argentinian engineer with unusual ideas on the draughting of steam locomotives. Underfeed mechanical stokers enabled single-man working. Porta's modifications produced astonishing gains in power and steam production (in some cases steam production was doubled), but were complex and short-lived. Heating Surface: Firebox: 87.5 sq.ft. 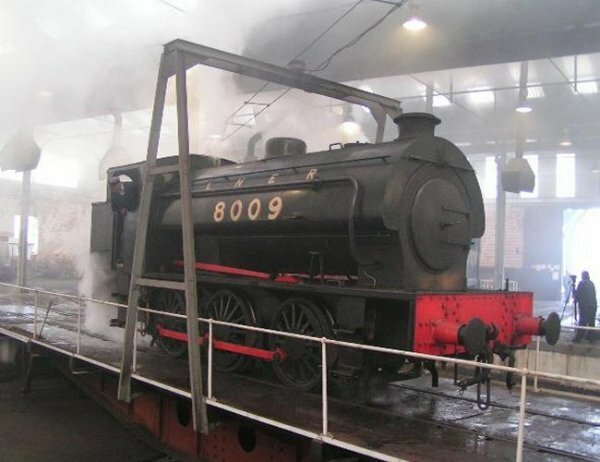 Our loco, "Hunslet 3193", is one of the industrial versions but in preservation has carried BR livery and a BR number 68012 (actually the number of one of the scrapped Cromford and High Peak locos). She was built in 1944 at the Hunslet engine works in Leeds with the works number HE3193, and then became War Department number 75142. She was later numbered 140. 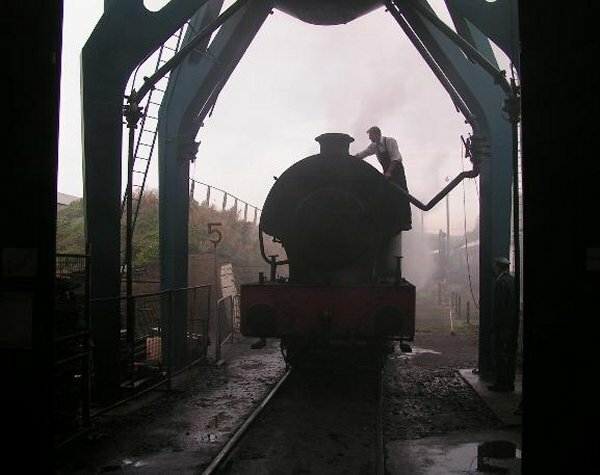 In October of 1962 she returned to Hunslet where she was rebuilt (as above) to works number 3887. She was then purchased by Phil Wainwright, later went to the Great Central Railway and then the Midland Railway Centre. From the late 1980s she was in use at a privately-owned preserved railway at Isfield before being purchased by the Lavender Line Preservation Society who sold her to us. 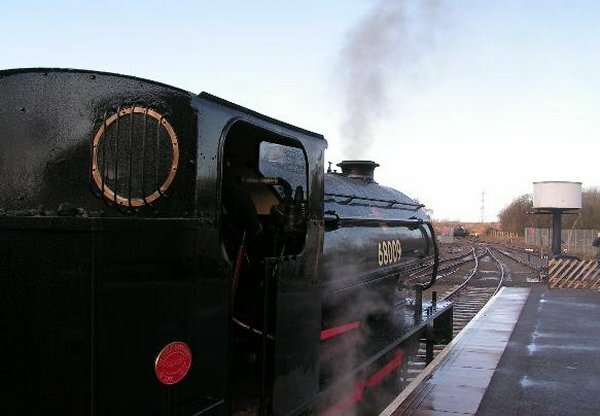 From 1995 until 2003 she was the principle workhorse of the Lavender Line, but eventually required extensive work on boiler, firebox and bunker. This work is now nearing completion at our Norfolk base. For a more detailed history of 3193, click here. You can send us a donation by clicking the button below. If you don't have a PayPal account, you can use your credit card in the usual way.